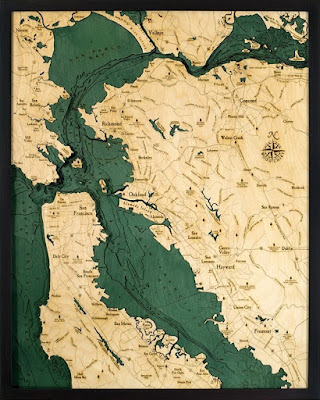 Dominated by other larger cities like San Francisco, Oakland and San Jose, San Francisco Bay is a shallow estuary in the state of California. Formerly names as Yerba which was derived in the Spanish word meaning “Good herb”, San Francisco Bay was a small city founded in 1776. It was later renamed in 1846 with its public square located in Portsmouth Square in Chinatown. What most people don’t realize is that San Francisco Bay has one of the largest Chinatown outside of Asia, with a total population of 100,000 people lives in Chinatown, ranking in number two spot. The Chinatown in SF is also considered as the oldest in North America. 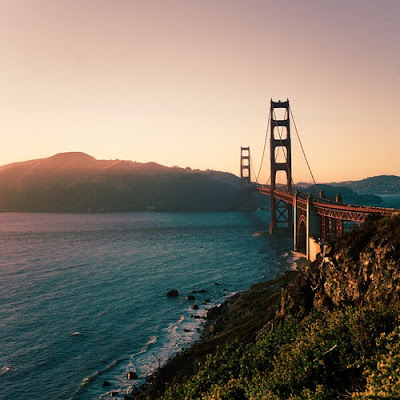 Built on more than 50 hills including some of the famous hills like the Nob Hill, Telegraph Hill, Twin Peaks, and the Russian Hill, the city is known to offer many tourists spots with a variety of features in each of them. However, San Francisco Bay is famous to host the largest competition of American wines in the world. This anticipated event called the Chronicle Wine Competition is held every February where tourists and wine enthusiasts cross continents just to visit San Francisco Bay. Here are some the best places to visit in San Francisco Bay. But San Francisco Bay goes more than that, the city and Marin County is the world famous Golden Gate Bridge. One of the most photographs landmarks in the world, which has been listed down as one of the modern wonders of the world. First opened in 1937, spectators marvel how the bridge can lift up tons of weight from the hundreds of vehicles crossing it each day. Now, it holds the record as the longest suspension bridge ever created of mankind. It’s a quite sight to see, as the steel with a total length of 1.7 miles with six lanes of traffic and carrying millions of passengers each year. Alcatraz was made famous by the movie entitled Escape from Alcatraz. Since then, its popularity even rose as it was considered as inescapable. Built about 1.5 miles off the shore of San Francisco Bay, this small island was primarily built as a federal prison and military fortification. It was used as a federal prison for the “worst inmate” in the country, many infamous prisoners had stayed in the island including Robert Franklin Stroud and Al Capone. Today, only tourists can come and go in Alcatraz to experience the depth of the prison grounds. You have never been in San Francisco Bay if you haven’t been on their cable car system. Locals are very proud of this last manually operated cable car system in the world. During its fully operational time, there were 23 cable car lines pumping the city. But now you can choose from any of the 3 remaining cable car lines in the city where it can take you in different towns. It’s a great way to explore the city while riding in a piece of very important transportation in the history of automobiles. To end your adventure; take a full 360 view of San Francisco Bay in Twin Peaks. It’s a mandatory thing to do whenever you come down in the city for the first time. With a reputation of having a spectacular full view of the Bay Area. The Twin Peaks got its name from what locals used to call it as the “Los Pechos de la Choca” which literally means “Breasts of the Maiden”, because of its shape and size. Standing at about 922 feet high, you can have fun spotting some creatures and other plant life as you hike through the top.